Giveaway Alert: Brand New, All-Natural Candy Bars!! So beyond the fact that they look incredible and taste like sweet heaven, what is so special about these new candy bars? For starters, they are all natural – no funny business on that ingredient statement. But Go Max Go didn’t stop with just natural ingredients, they made these bars dairy-free, egg-free, and vegan, so that even more of us could enjoy them! Just in case you have some concerns that these bars won’t match up to their more traditional counterparts, here is what one of our “can eat whatever she wants” taste-tester said, “They were all SO good! I am liking these new bars better than the originals!” Seriously, we all were. But don’t take our word for it, taste test them for yourself! Five of you will win a care package from Go Max Go to include one of each new candy bar. That is correct, I said Five Winners! Leave a Comment: Tell me which bar you are most excited to try, and if you feel like it, put in a request for another candy bar that you would like to find in an all-natural and/or vegan format. My vote is cast for Butterfinger. For Additional Entries: Spread the word about the giveaway and leave another comment letting me know you did. 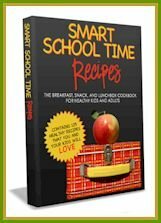 This might include mention this giveaway on your blog and linking to this post; twitter (or passing the tweet on); or mentioning it on facebook. You get one entry for each shout out! The last call for entries will be on Sunday, May 31st … so what are you waiting for! 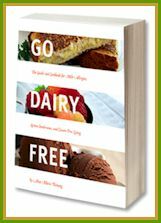 For future reference, if you are interested in updates of recipes, more giveaways, and posts on One Frugal Foodie and Go Dairy Free, you can follow my on twitter, facebook, and via the Go Dairy Free RSS and the One Frugal Foodie RSS. yum i’d like to try the mahalo. I would like to try the Mahalo. Thanks for the giveaway. I’d like to try Twilight. I wish they would make more candybars with Raspberry filling – I remember little raspberry-shaped candies when I was a child (do you?) that had filling inside! Thanks for the lovely giveaway! 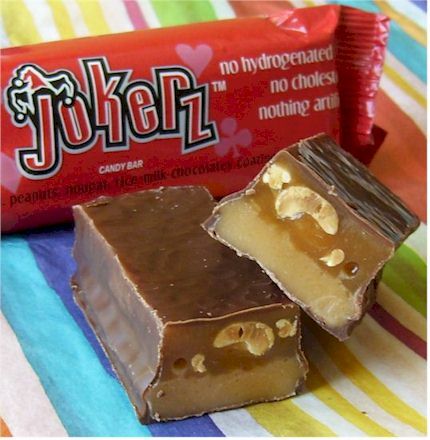 The Jokerz candy bar sounds delish! I wonder if they could do a decent Reese’s Peanut Butter Cup that was all natural, that sounds good to me. Thanks! 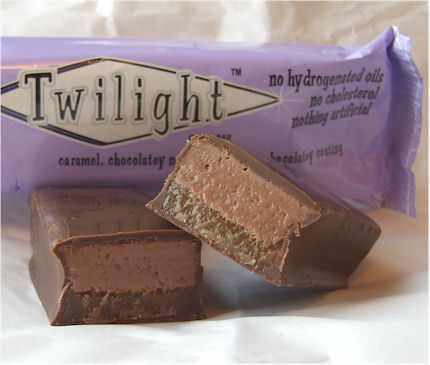 I would love to try Twilight! I want to try the Jokerz! Would love to see a twix! 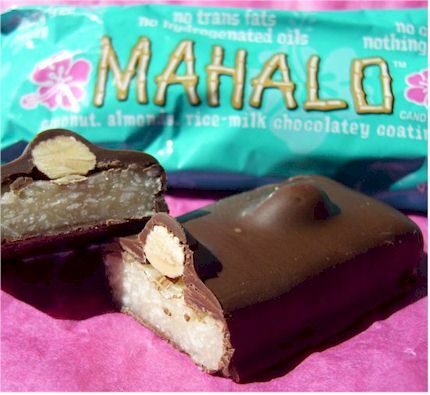 I would love to try the Mahalo. Sounds delish! I put my request in for Baby Ruth. I’m most excited to try Mahalo! I wish Mr. Goodbar was vegan! Mmmmahalo! I love Almonds. My favorite candy bar is Twix so a natural version would be so good. But since that was mentioned so many times already how about an all natural peppermint patty like York or Junior mints? twilight! Loved the movie and the candy bar looks pretty great too. The Mahalo bar looks wonderful! Peanut Butter Twix is a favorite of mine that would be great vegan. Oh my. This sounds amazing. I hope I’m entering in time because WOW. As for what I’d like to see… well, 100 Grand is my favourite (HIGHLY underrated) chocolate bar, so I’ll go with that! I’d love to try the Twilight! 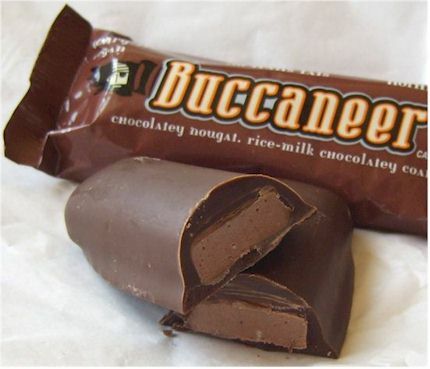 The Buccaneer is the one I would most like to try. I would like to see a Reeses Peanut Butter Cup go all natural!